The number of comedy duos created in the 20th century was pretty numerous, but there were few that a miserable git like myself actually found amusing. 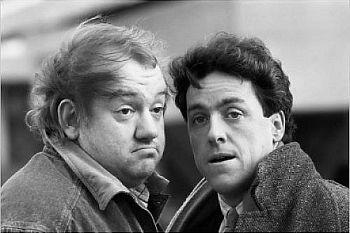 While Laurel and Hardy remain my all-time favourite duo, Mel Smith and Griff Rhys Jones are certainly up there in my personal top five. Some of the most memorable sketches featured the head-to-head segments in which Griff played a rather dim-witted character, which was guaranteed to get many laughs. The comedy sketches were imaginative, typically british and often tasteless (sometimes pushing the boundaries of decency!) with the material being written by Smith and Jones, as well as a whole host of other writers which included Clive Anderson. The video playlist above features some of the best moments from the series. After Not The Nine O'Clock News came to an end in 1982, Pamela Stephenson and Rowan Atkinson went their separate ways, with Mel Smith and Griff Rhys Jones deciding to form a comedy double-act. Alas Smith and Jones originally aired on BBC2 from 1984 to 1988 with two Christmas specials. The growing popularity of the series saw it move to BBC1 from 1989 until 1998. 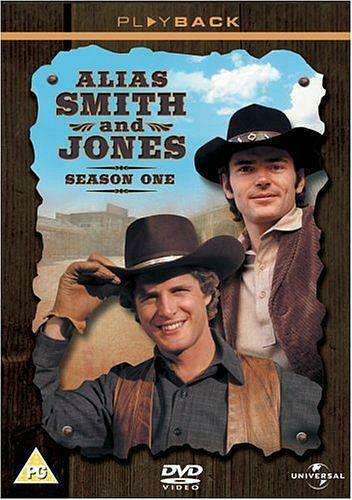 If you're as old as I am then you'll know that the show's title was a play on Alias Smith and Jones, a U.S. western series that aired in the early 1970s from 1971 to 73. During their time together, the duo appeared in two movies. 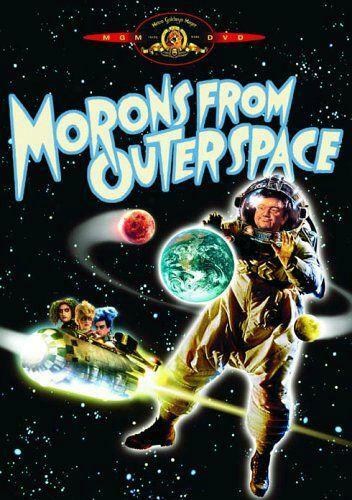 Morons from Outer Space (1985) was a comedy/sci-fi film about four amusingly-named aliens Bernard, Sandra, Desmond, and Julian. In 1989, the duo starred in Wilt, a film by LWT based on the novel by Tom Sharpe, although it was nowhere near as commercially successful as the first film. 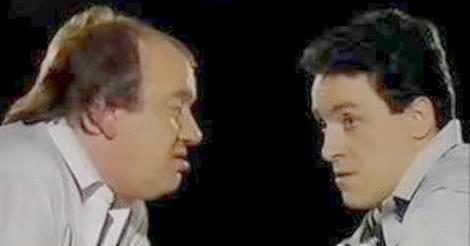 Sadly, Mel Smith died on 19th July 2013 from a heart attack aged 60. Griff is still very much with us, of course, and in 2015 presented the series Slow Train Through Africa with Griff Rhys Jones. When you get to present a TV show with your own name in the title, then you know you've got it made!